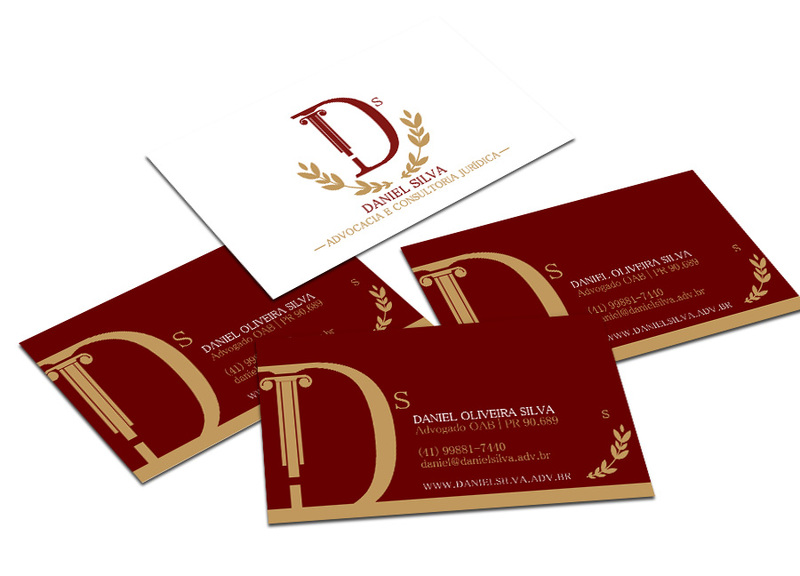 Michele Monteiro designed these business cards for Daniel Silva, a lawyer and legal advice in the city of Curitiba, PR, Brazil. In order to create a visual identity that stands out from the competitors and be remembered by prospects in the best possible way, Michele worked with all the elements and personality of its founder.  “The client is a lawyer and we use brand elements such as the olive branch for the composition of the visual identity. The colors gold and red are following the brand too, with gold representing opulence, antiquity, victory and conquest; red representing blood and love of the law for humanity and peace,” Michele said. 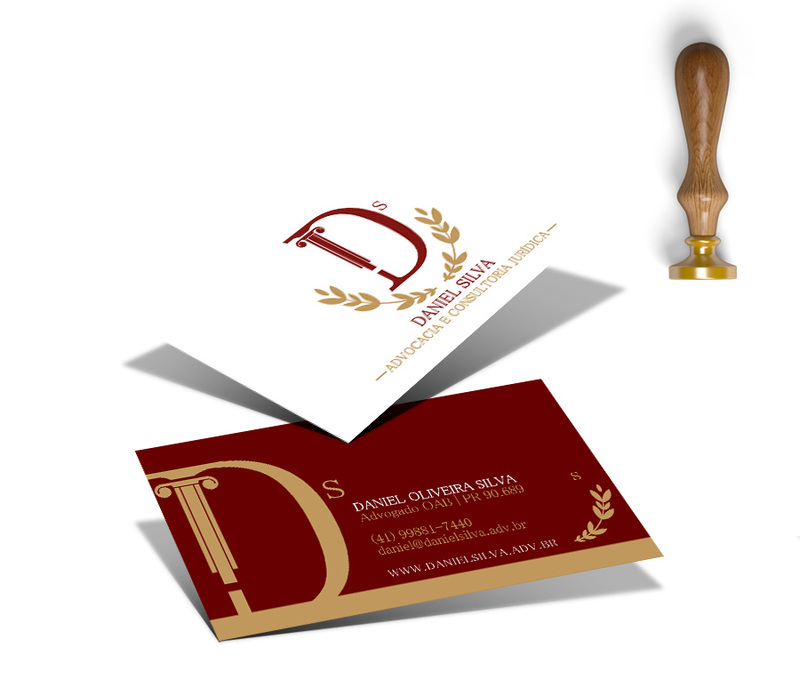 The logo consists of the client’s monogram – letter D and S – and the olive branch as well. There’s an ancient Greek column in the letter D to signify intellectuality, style and tradition. 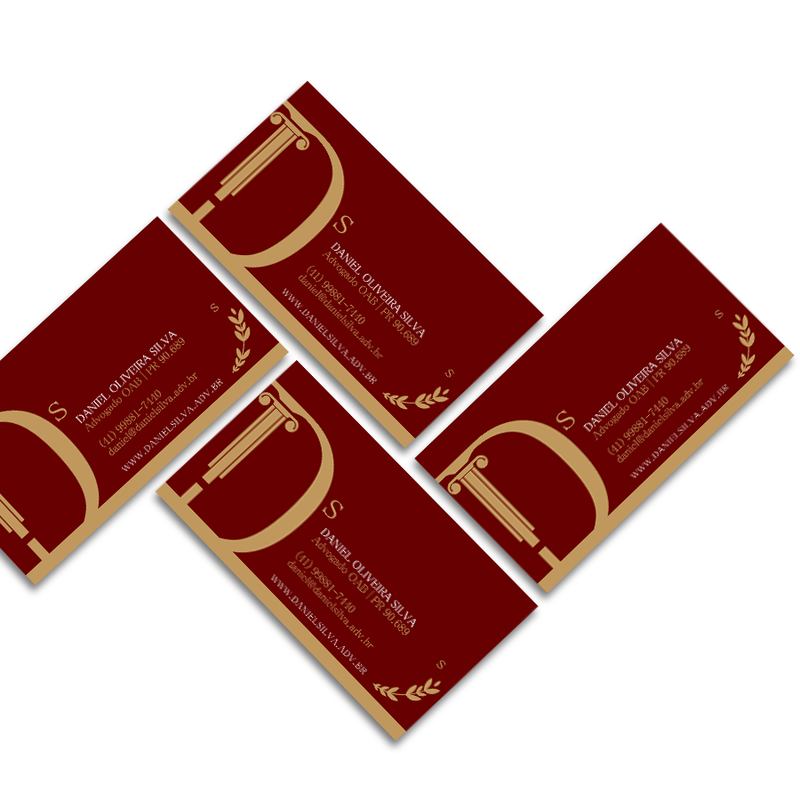 All in all, it’s a sophisticated business card design for a professional service.